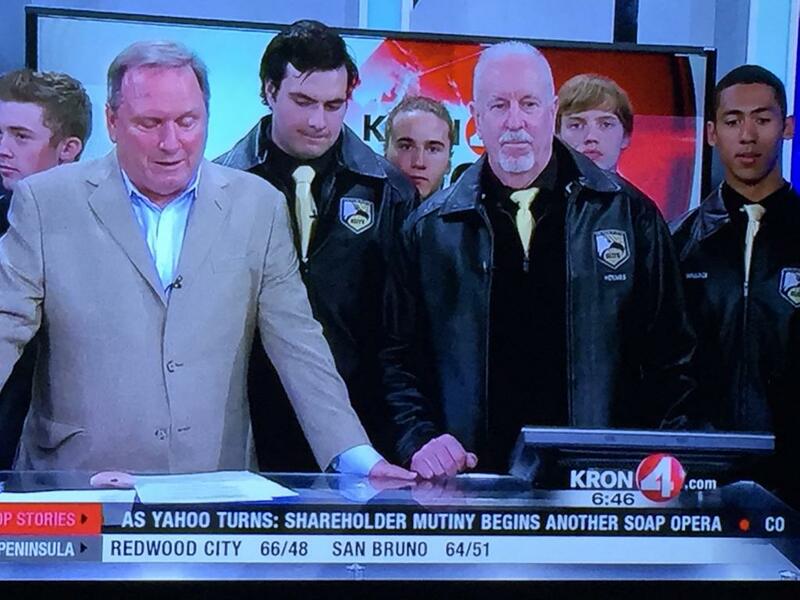 Established in 2012, we provide tier-only, youth, ice hockey programs to Northern California players. After 5 years, we have become the top performing tier club in all of California in terms of winning percentage, average goals scored per game, and fewest goals allowed per game. We cater to players that want to play beyond youth hockey, like Juniors or College. Our coaches, in addition to being coaches, also double and triple as hockey "career counselors" and scouts. As career counselors they help guide players towards performance goals, manage their path through youth hockey and beyond, and offer advice throughout. As scouts representing organizations in North America, they become valuable "leg-up" resources for players with the caliber and ambition to move on. Golden State Elite Hockey is the brain-child of Chris Hathaway, Larry Cahn, and William H. Stone and is a joint venture between the Cupertino Cougars, Tri-Valley Blue Devils, Vacaville Jets, and the San Francisco Sabercats. Why are the clubs combining to do this? It has become increasingly obvious that the current tier talent in Northern California is few and, literally, far between. This has created a watering down effect in our AA, A, and B programs to the point where we are not competitive with similarly labeled teams from other regions. So, the idea is to reduce the number of tier teams, concentrate the tier players into one organization, and focus the best resources and coaches on the resulting smaller group of players, i.e. all-star teams. Tier programs take a disproportional amount of time, money, and effort away from a typical club, thus starving other programs from much-needed attention. By removing tier programs from clubs into Golden State Elite, clubs can turn their attention back to delivering and growing solid A, B, and House programs which represents the bulk of the players. Question: Do I have to play for one of the four clubs to tryout? NO. Imagine a program where the player next to you is the best. This motivates you to play better, faster, and harder. Imagine a program where the player next to you loves hockey as much as you do. This keeps you and the team focused on playing good hockey. If you are interested in submitting your name to our coaches in order for them to review your potential, please use our Interest Form. If you do not think you possess the skills just yet, our coaches can still advise you about the steps you need to take in order to prepare for an eventual tryout. So, fill out the Interest Form and indicate your intentions. Parents: Listen to what your player is telling you and follow his/her lead. If your player is super-motived, lives/breathes/eats hockey, and has the skills, then consider our program. Pushing a player into this program will not yield a successful result. 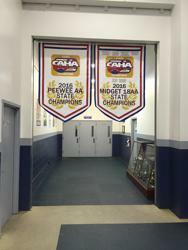 Our 18U and 12U North teams won the State championships for the 2015-2016 season.